I am a native North Carolinian and have lived in many areas of the state. I have always followed a Pagan path it seems, but I have actively been practicing for over 15 years. I am a very public Pagan, and proudly wear my Pentagram everyday and everywhere. I follow an eclectic path of Native American, Celtic and Strega Pagan Witchcraft. I listen to and talk with the animals and Mother Earth for guidance. An avid student of astrology since the age of twelve, I draw natal charts and interpret them for friends and family. I love working in my garden during my free time – playing in the Mother Earth and talking to the plants. I am a Registered Veterinary Technician and a single mom of 2 grown sons. I currently have a small zoo at home consisting of 4 cats, 4 dogs, 1 bird and 1 very quiet snake. Hobbies when I have time include hiking, camping, reading, making Native American crafts, and astronomy. I enjoy ghost hunting and rock hounding. During quiet times you can find me in front of the TV with a good book, always learning. After I publicly came out as a Pagan in 2000, I began searching for others in my area at the time. My coven became involved with the first PPD in Charlotte in 2002. I was one of the first co-Local Coordinators for the Charlotte NC event - Piedmont PPD. Only 11 people attended the event. The second year in 2003, over 800 people attended. The Charlotte area event hasn't looked back since. I also co-coordinated the Catawba Valley High Country PPD in 2005 (the first year) and 2006. In 2004, I was offered the position of Southern Regional Coordinator for PPD, and I maintained that position until 2011. I was fortunate to be elected to office of Treasurer of National PPD in 2009 and subsequently I was elected Vice President/Membership Coordinator in 2009 as well. I am a firm believer in all the PPD stands for. I took a sabbatical for two years; returning in 2013 when I was re-elected as Vice President. Prior to PPD, I was the former NC W.A.R.D. 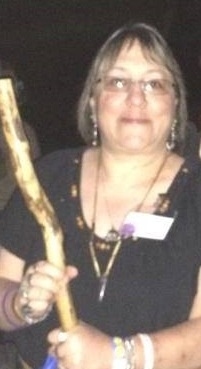 (Witches Against Religious Discrimination) Pagan Prison Ministry Director, a member of the Board of Directors of W.A.R.D., and volunteered as the Director of Research and Media. W.A.R.D. was a wonderful organization, and enlightened me to the discrimination that still exists towards Pagans not only in the United States but across the world. I am a member of Misfit Sanctuary in Stanley, North Carolina. I am currently studying Strega and I am in training for my clergy status with my tribe. A staunch believer of the innocence of the West Memphis Three, I founded the North Carolina - Free the West Memphis Three Support Group on Yahoo groups. I have given workshops on the West Memphis Three and First Amendment Religious Rights at PPD events. This is a sad example of what is known as Satanic Panic, and proves that even in the 21st century; people can still be tried and convicted based on their beliefs and rumors. Although they took an Alford Plea to get their freedom; their supporters as well as Damien, Jason and Jessie won't rest until they are exonerated.